Today Robert Kent is visiting my blog with a guest post about writing. Welcome to Pearls Cast Before A McPig, Robert. Robert Kent is the author of the young adult novel ALL TOGETHER NOW: A ZOMBIE STORY. He runs the popular blog for writers, MIDDLE GRADE NINJA, and lives with his family in Indianapolis, Indiana, where he's hard at work on his next book. Thank you, Sullivan McPig, for hosting me! I'm so thrilled to be here I'm going to GIVE AWAY (for free!!) 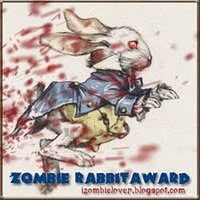 a copy of my book, All Together Now: A Zombie Story, to a commenter on this post, chosen at random by Sullivan. When I asked Sullivan what I should chat about today, he suggested I give some advice on writing. You may want to check out my book before you decide if my advice is worth paying attention to:) But I run the (free) blog for writers, Middle Grade Ninja, where lots of undeniably talented authors, editors, and literary agents have been giving me advice on writing for years. My advice: pay attention to the advice of all writers and weigh it against what works for you. Cherry pick the best bits of advice, and give more consideration to the advice of writers closer to where you want to be. Author Mike Mullin likes to drive to actual locations and experience them to help him visualize the Ashfall books (he also ate cat food to write about its taste). I set my story in a fictional town so I could make up the landscape as I went. But we both get up everyday and do the writing, we study the market, and we both read as widely as we can. And we follow our hearts. 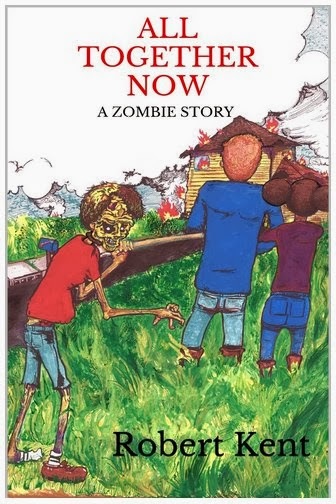 I wrote All Together Now: A Zombie Story because I love zombies and it's the zombie book I most wanted to read. It's the only way I know to write a story. And the only reason I think readers might like my book is because I do. I have to. I love a story in which a horde of slow moving, walking corpses shamble their way toward the terrified living. I like my zombies violent and awful and really gross. If a zombie baby can show up at some point in the story and be just all kinds of unconscionable and a moral outrage, I think that's swell. I may be deranged, but I know who I am and what I love. Writing a book is a lot of work. Publishing a book is even more work. Crafting a story that's going to be worth the reader's time and money takes everything you've got-otherwise, why bother? And as there is no one path to success, or even a guarantee of achieving it, I say write the thing you love... even if that thing is dead people chewing the eyes out of the screaming faces of the living. And readers will know if you're following your heart. People can tell if a person talking to them on the phone is smiling. People know who's happy to be here and who'd rather be someplace else. Your readers can tell if you love the story you've written and will be more likely to love it because you do. Put another way: if you don't love your story, how can you possibly expect a reader to? I think my daughter would enjoy this too.